Biggest news of the past week? Surely the opening of Tottenham's new stadium. 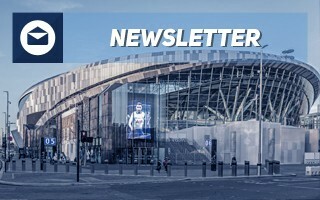 Before we have sufficient photo gallery and add it permanently to the DataBase, please enjoy a review of the amazing London development by Darryl Telles, supporter and writer who has been to both opening games, following 4 decades at White Hart Lane and tours of best stadia around Europe. When he says it's amazing, that's not just a Spurs fan's opinion! Real Madrid almost outshined Tottenham by announcing the long-awaited reconstruction of Bernabeu, currently priced at €525 million, is about to begin. When the current season ends, roof dismantling will follow, opening the way for 12 meters of additional structures. In the east new sections of the auditorium will rise, but on other sides only the roof columns will become the visible change. Capacity will remain the same when Bernabeu turns into a 21st-century temple in 2023, after 4 years of continuous use and construction. 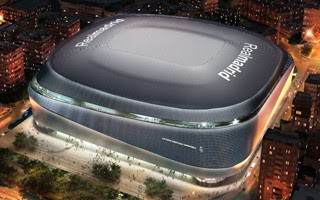 Also in Spain, Valencia is expected to announce a viable plan to deliver the Nou Mestalla project. Incidentally, we have recently 'celebrated' 10 years (!) since the concrete shell of yet-to-be stadium had been abandoned. When will it be complete, what will be the starting capacity in early 2020s, what's the cost and financial structure to move from old Mestalla? These questions may, at least partly, be answered before April ends. Just like Valencia, Rotterdam is also waiting for its new main stadium. 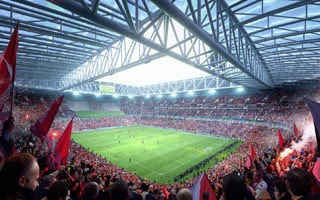 Feyenoord had to confirm a 1-year delay recently, admitting that the 63,000-capacity giant at Nieuwe Maas riverfront will not be ready in 2023. Now the best estimate puts opening in June 2024. But, just like with previous Feyenoord stadium bids, there's still a risk that the entire Feyenoord City project will fall apart. Not judging its viability, just saying. In England there's an informative story of why a club can sell its stadium to a third party and how it may turn really bad on the club, told by Derby County and Oxford United, respectively. 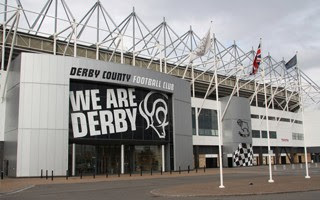 Derby recently announced it had sold its Pride Park to an entity connected to its current owner. But that owner, Mel Morris, has recently been speculated to seek an exit from Derby County. What could happen if he leaves the club while retaining stadium ownership? Well, the worst case scenario is being lived by Oxford United, who have been served with the 5th winding-up petition by Firoz Kassam for a slight delay in stadium lease payment. Kassam had built the stadium for Oxes but now charges the team rates beyond club's financial condition. Finally, the two stadium designs we added in late March, both from Bucharest. Both are Euro 2020 training venues, too. 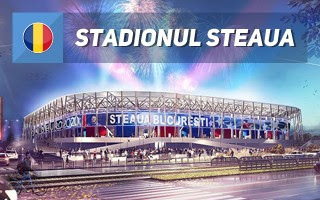 Updated design for Steaua Bucharest's famous Ghencea site is far more modest but also far more rational than the initial one presented a year ago. While it will not be entirely ready for Euro, it should allow for safe training. 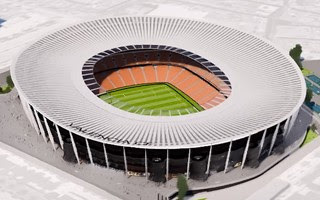 Much smaller stadium at Arcul de Triumf might be delivered in time. Once ready, it will serve as Romania's national rugby stadium. Aside from that use, it should also meet all requirements of UEFA to allow international games, for example by smaller Romanian clubs.